Simply put, God is sovereign. He is on the throne and all of the earth and everything in it belongs to Him. Our adversary may be called the prince of the power of the air, but he is NOT the Lord over heaven and earth. Our God and Father reigns over all and our Elder Brother will be forever known as the King of Kings and Lord of Lords! My prayer today is that we would all be comforted in knowing that our Heavenly Dad is the biggest, strongest, most loving Dad there is in the universe! 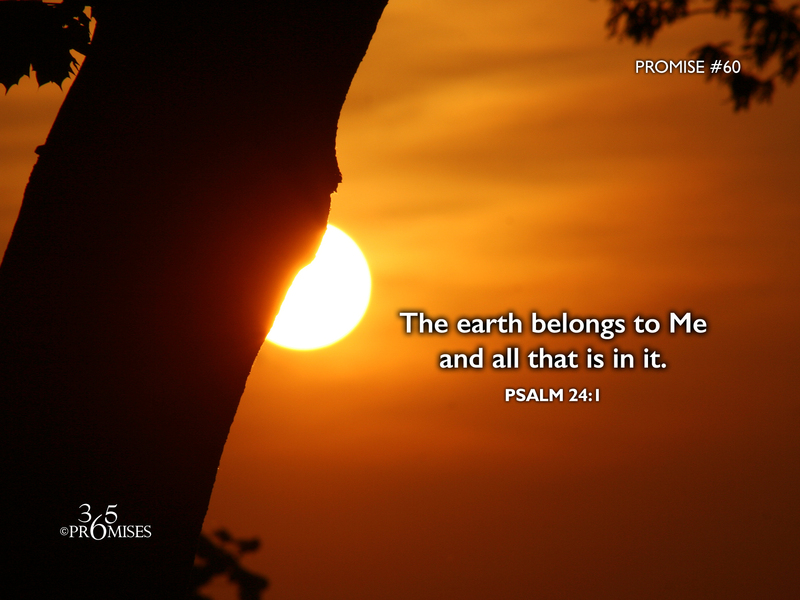 The entire earth and all that is in it belongs to Him. If you have a chance to watch a 12 minute video that boasts about the bigness of your Heavenly Father, watch The Best Dad In The Universe video. It will definitely remind you just how BIG your Dad is!